This was an experiment in structured chaos. I asked friends Greg Moss, Jeff O’Neil and Adam Brilla to improvise over programmed drum machine tracks, along with which I also played acoustic drums. None of us really knew what we were doing, but as long as things were loud and crazy it was deemed sufficient. 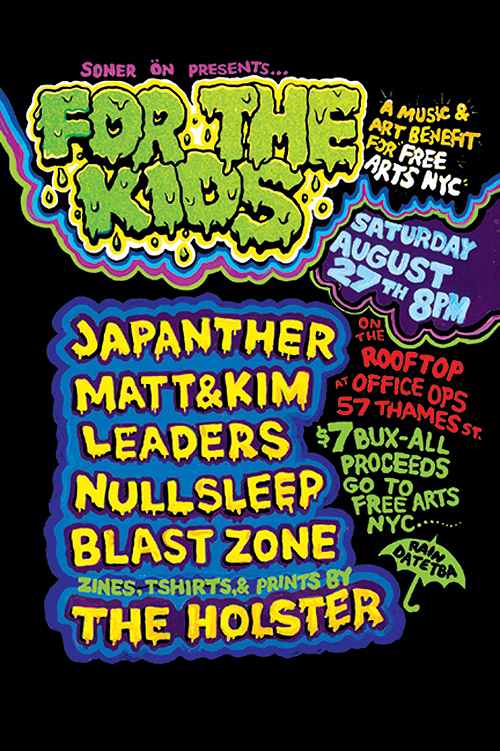 August 27, 2005 we played a music & art benefit show for Free Arts NYC at Office Ops in Bushwick w/ Nullsleep, Leaders, Matt & Kim, and Japanther. It was super fun and hands down the most picturesque setting in which I’ve ever rocked out. 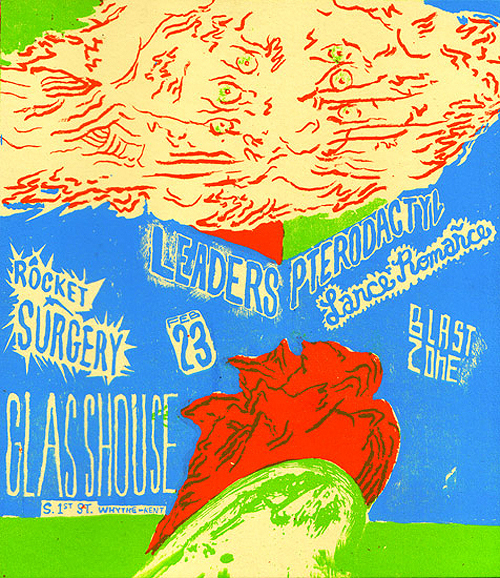 February 23, 2006 Blast Zone played a second gig at the original Glasslands (Glasshouse) space in Williamsburg, joined by George Lewis Jr. on vocals. We dumped the drum machine tracks in hopes of achieving a more Jesus Lizard-like noise. For some weird reason, maybe phase cancelation, Jeff’s bass was impossible to hear at this show. Leaders and Pterodactyl were awesome. Perhaps someday I’ll do something else with this project, but for awhile now I’ve just been using the name for my infrequently used studio at the Berwick building in Dudley Square.